Mental health and substance abuse is an issue that has been pervasive amongst legal professionals, yet very few lawyers seek any kind of assistance,” he said. “I think It’s the responsibility of an organization such as the ISBA to improve lawyers’ well-being through education and information. Momkus McCluskey LLC is proud to announce that the Illinois State Bar Association has installed attorney James F. McCluskey as its president. The installation occurred during the ISBA’s 142nd Annual Meeting on June 15 at The Abbey Resort in Fontana, Wisconsin. McCluskey has been a long-time active member of the ISBA. He is a member of the Board of Governors and previously served as a member of the Assembly, the ISBA Civil Practice & Procedure Section Council, and the Allerton House Committee. He was previously the chairman of the Agenda Committee. As president, McCluskey will continue several of the ISBA’s initiatives, including legal education programs to help attorneys with transition, succession, and overall business planning as they approach retirement; and educational seminars that will cover finances and budgeting, financial software tools for small practices, and marketing best practices. McCluskey is introducing a new initiative to create of a wellness committee to focus on overall wellness in the legal profession by addressing stress, mental health issues, and substance abuse. 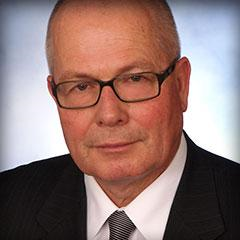 Attorney James McCluskey is a founding member of Momkus McCluskey LLC, one of DuPage County’s largest law firms. He is a commercial litigator who has handled 60 jury trials and argued appeals before the Illinois Appellate Court, Second District; the Illinois Supreme Court; and the U.S. Court of Appeals, Seventh Circuit. McCluskey has made the Super Lawyers list of the best Illinois lawyers for five consecutive years and nine times in the last 13 years. He has been AV rated by Martindale-Hubbell for more than 10 years and has been rated as a top lawyer in Illinois for the last two years by the Legal Network. McCluskey was appointed unanimously by the Illinois Supreme Court to its Committee on Professional Responsibility. He was recognized as the DuPage County Bar Association’s Lawyer of the Year in 2008 and received its Ralph Gabric Award for distinguished leadership and professionalism in 2005. Momkus McCluskey LLC is a full-service law firm located in Lisle, Illinois, with clients nationwide. Our attorneys provide legal representation in many practice areas, including commercial and civil litigation, appellate practice, business law, commercial real estate, family law, and estate planning. To schedule an appointment with one of our attorneys, call 630-434-0400 or complete our online contact form.